For nearly a century, the world’s most extraordinary and complex construction and industrial projects like these have relied on Victaulic to help engineer confidence into every build, even in the most extreme conditions. 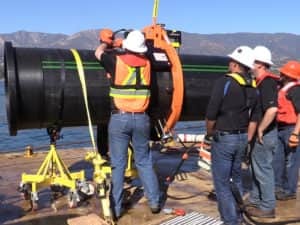 Whether on or below ground, in the air, or underwater, Victaulic’s innovative mechanical pipe joining solutions give engineers, site owners and contractors the versatility and freedom of design to make the impossible possible. From the world’s tallest buildings, deepest mines, complex underwater structures, mission critical facilities, to ground breaking mega projects, Victaulic is the partner of choice when extreme conditions demand piping joining systems rugged enough to withstand the most physically demanding environments and reliable enough to last the life of the build.